M12 Cordless Red Heated Jacket Only - 3X Milwaukee<sup></sup> M12 Heated Jacket: Redesigned for optimal fit and better heat retention, Milwaukee<sup></sup> M12 Cordless Heated Jackets integrate (5) carbon fiber heating elements and advanced fabric-layering technology to distribute and maintain heat across core body areas. For added versatility, two distinct heat zones (back and chest, lower pockets) can be adjusted independently to provide the right amount of heat for any situation. A rugged wind and water resistant shell keeps weather out while improved insulation and a thermal fleece lining hold heat in to maximize warmth and reduce the number of layers needed. On and off the jobsite, Milwaukee<sup></sup> M12 Heated Jackets provide up to 6 hours of continuous heat per battery charge to withstand even the harshest winter conditions. Milwaukee<sup></sup> M12 Heated Jacket utilizes the same M12 REDLITHIUM Battery technology that powers 60+ tools. All M12 Heated Jackets are washer and dryer safe. 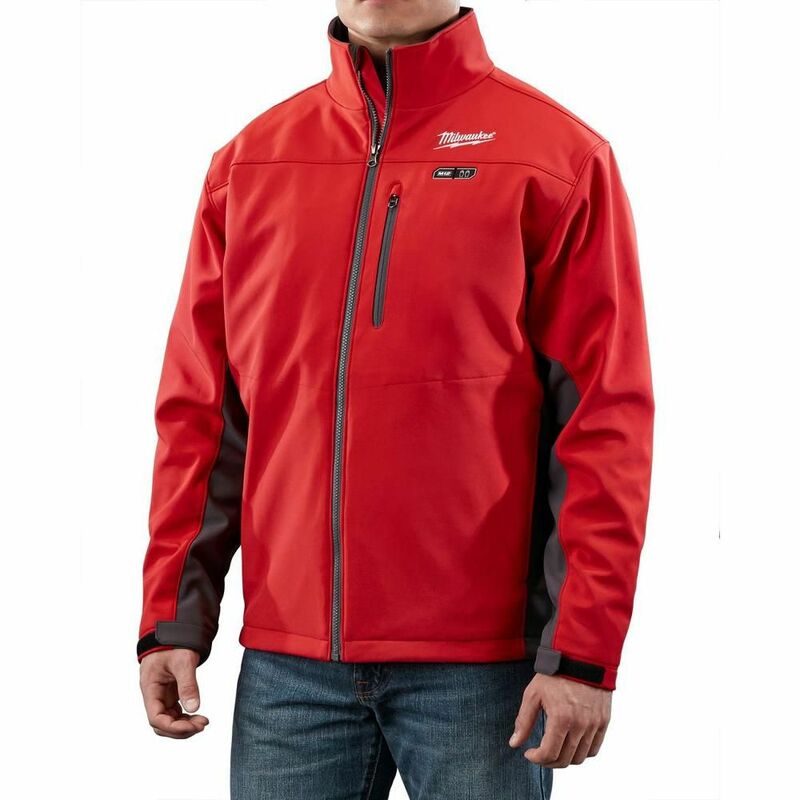 M12 Cordless Red Heated Jacket Only - 3X is rated 5.0 out of 5 by 1. Rated 5 out of 5 by rusty from great work jacket for the cold weather the jacket is warm with out the heating elements on and with the heat turned on the jacket is really warm, the hand warmer pockets are great to keep your cold fingers warm. the jacket will work on 12 volts, or 18 volts with a adapter from Milwaukee. the12 volt 2ah battery will last 8 hr on low and 4 hr on medium. the battery pocket is large enough for 2 12 volt 2ah battery .run it on medium and change out the battery at lunch and you can stay warm all day.